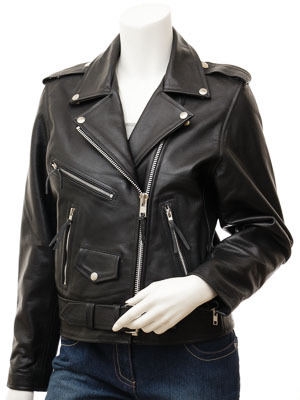 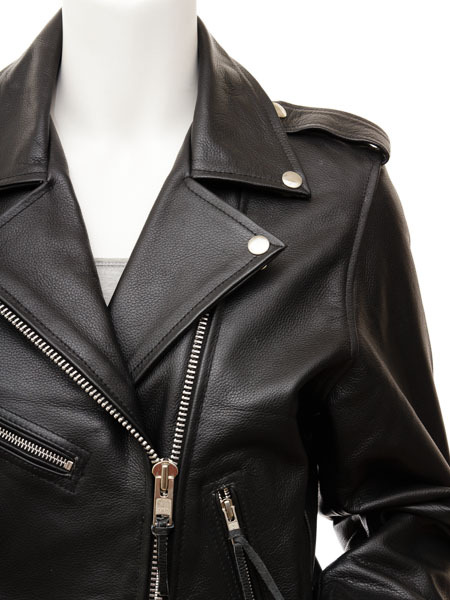 An ultra-glam black leather biker jacket. 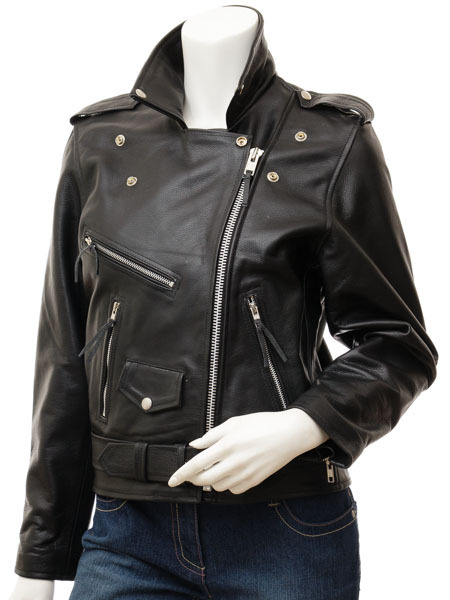 Crafted from a grained, cow nappa hide it is a tougher, more durable version of the sheep leather biker. 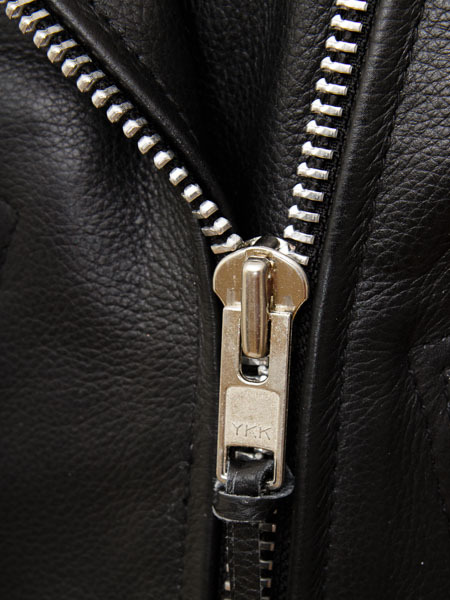 A sturdy chromed YKK zip angles diagonally over a double breasted front with wide notched lapels that can be held in place with riveted press studs. 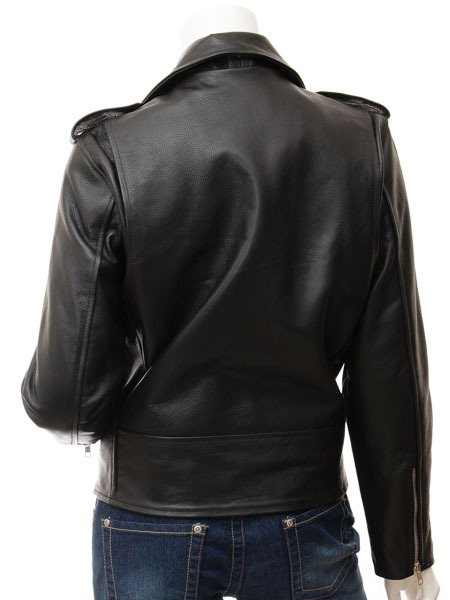 An angled zip pocket at the chest is complemented with two more on the waist plus a press stud fastened ticket pocket next to the zip.